This story is about emerging initiative that demonstrates that agro ecological farming with arid specificity is an appropriate and cost-effective approach to increase resilience in drought prone, ecologically fragile arid most/desert areas. There is growing agreement amongst planners, researchers and development agencies about the need for different development approach for Drought Prone and Ecologically Fragile Arid Most Region of North -Western India. These regions are characterized by poor natural resource base, perpetual drought, very high temperature, and very low precipitation, scarcity of water, low content of organic matter and presence of soluble salt in the soil. Agriculture is mostly rain fed with annual rainfall being 250 mm, received over a period of 12-15 days . Communities face difficult life owing to scarcity of water, fuel and fodder and subsistence agriculture yield. Migration to cities is mostly adopted as a coping mechanism. Human communities have adapted to very harsh and adverse physical environments. There is however scope and opportunity for enhancing livelihoods in adverse conditions, by bringing in new knowledge and ideas and systematically integrating them with traditional indigenous knowledge and skills. 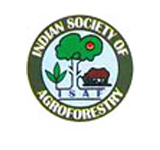 As a strategy, it was decided to utilize the existing natural resources judiciously by conserving every drop of scarce water, strengthen the livestock based farming system, improve the degraded community pastures through promotion of silvipasture, increasing land productivity and income through various inventions like agro-horticulture, agro-forestry and diversified improved agriculture. The interventions were also aimed at creating more productive assets both at family and at the community level . The model is built around traditional tanka (underground water storage structure) system of desert communities. The efforts are made to integrate its use in agro ecological farming system combining agri, horti, fodder and livestock promotion on lands adjacent to Dhanis (Traditional hamlet). Farmers were motivated to plant trees that required less water for getting a stable income from the land. The choice of fruit plants included ber (Ziziphus mauritiana), Pomegranate (Punica granatum), Gondi (Cordia gheraf) and date palm owing to their tolerance to excessive heat, survival in salinity and less water requirement. 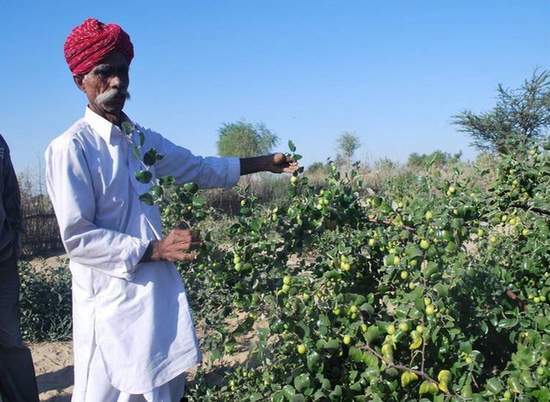 Around 50 plants of two hybrid ber varieties (Gola and Seb) promoted by CAZRI, were planted along with 50 other fruit-yielding plants on half an acre area. Other adaptation techniques were also used. For instance, SYBOIN –S, a PH reducer, was used to increase water storage capacity of sandy soils. Vermicompost and organic manures were added to enhance root growth. In forestry, trees like khejari (Prosopis cineraria) were introduced to meet fuel wood and fodder requirement. For nutritional security, vegetable crops suitable for arid region like water melon, cucumber, ridge gourd, bottle gourd were grown on fence. Apart from land based interventions, to improve the quality of the existing breeds, cross breeding with ‘Sindhi’ breed of goat was promoted which has higher yield of meat and milk as compared to mix of Marwari and Sirohi breeds which were reared originally. To improve forage production, traditional practice of protection of commons was revived for silvipasture development.and perennial forage grasses like Sewan (Lasiurus Sindicus), Dhaman (Cenchrus setigerus) and stylo hamata, and fodder trees like Pilu (Careya arborea), Gondi (Cordia dichotoma), Neem and Shirish (Indian siris).were planted. Activities were introduced with technical inputs from various technical institutes working on dessert issues like, Central Arid Zone Research Institute (CAZRI),Jodhpur, Arid Forest Research Institute (AFRI), Jodhpur and Rajasthan Agriculture University (RAU), Bikaner.. Local KVKs provided training and extension, soil testing support along with supply of improved seeds suitable for desert regions. After a consistent effort of past 5 years, today one can see a synergistic impact that is produced on the livelihood situation of desert communities in this region. The income from fruit trees is fully realizable from year 4 . Average income from 80 plants per household from forth year are around Rs. 30,000/- Where as additional income from goat intervention is Rs 4500/- in two years. Ber also plants provided an additional advantage with their green foliage serving as fodder. From the fourth year onwards, each ber plant has yielded around 4kg of fodder. With 80 trees per wadi, every household had a potential to harvest 320 kg of fodder, which could support goat rearing. This post is entry nr #18 in our #WCA2014 blog competition. The five blogposts with the most and highest votes will receive a signed copy of the book “Trees for Life”. The most popular blogpost will get an iPad. This blogpost received 16 votes, with an average score of 4.5 (out of a max of 5). If you have questions or remarks on the project described in this post, please leave a comment below. Please also rate the other blogcompetition entries! 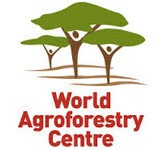 Follow our #WCA2014 social reporting teamfollow our social reporting team via the #WCA2014 tag on Twitter, our blog and our Facebook page. Yes, Perennials are lifeline of deserts. 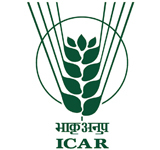 Planting of ber, anar, kumat and Khejri is always encouragable in Arid India. Good to read about planting of Ber. This wonderful fruit of desert is gradually disappearing. Thanks for your effort.